Let’s face it, anyone can pick up a paint brush and a roller and paint a room, but like anything, most can tell when the job has been completed by a professional. Whether it be making proper drywall repairs, choosing the right paint color and sheen, or cutting in straight lines where the walls meet the ceiling and trim, it all has an effect on the end result. AJR Painting and Interior Finishes, LLC offers both residential and commercial painting contractor services. We take pride in delivering high quality painting services at a competitive price. This initial meeting gives us the opportunity to gain a clear understanding of the scope of your painting project request. After this consultation we will provide you with an estimate that encompasses the latest painting industry standards and technology to provide both accurate and competitive pricing. Choosing the right color for a room is not always as easy as one would think. From the shade of the color on the walls to the accent color of the trim, it’s these choices that will set the overall tone for the room. 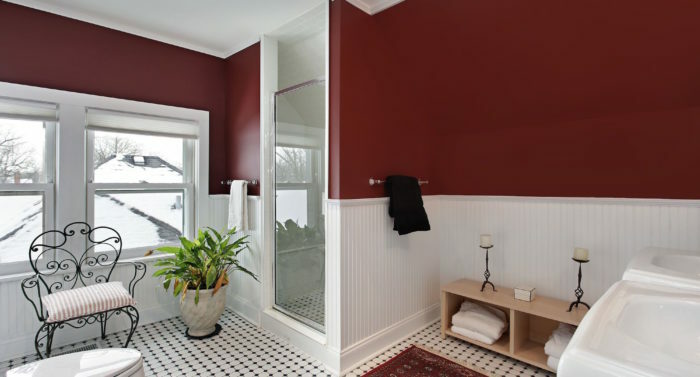 We assure our customers that dedicating the proper amount of time to making your color selections is a vital part of a successful interior painting project. Whether or not you have decided on your final choices, we offer a very Custom Color Consultation from an on staff consultant. Our consultant is provided as apart of our services and is unique only to AJR Painting & Interior Finishes, LLC. While we prefer the brands of Benjamin Moore and Sherwin Williams, the choice is yours. After your paint selections have been made, your next step would be to get your project scheduled for completion. The quality of your painting project is more dependent upon the correct preparation of the surface than anything else. Our painting service always includes the fixing of nail pops and cracks as well any required sanding. Primer is applied to areas needed prior to painting and is given the recommended time to to properly dry. 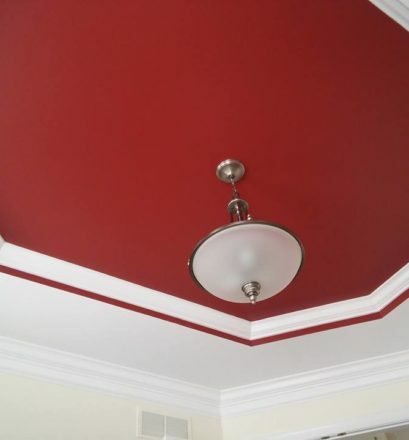 When it comes to application of paint we always start with ceilings, followed by walls and finish with trim. All painting is completed with a 2 coat application process. Upon completion our team performs a five step final walk around to make sure your project is completed as requested. We place all furniture back to it’s original position (unless otherwise discussed), reinstall any curtains, drapes, blinds, and outlet covers. We even vacuum and dust. All extra paint is labeled and left for the homeowners. Projects are finalized with a walk through with the homeowners to guarantee satisfaction. Request A Free Consultation & Estimate Here!